From the dusk of prototyping to the dawn of manufacturing. Europe is beginning a new chapter in the field of ITER In-Vessel components with the signature of two deals for the production of 19 cassette bodies out of the 58 (54 + 4 spare) which must be delivered. F4E has signed one contract with Walter Tosto and another contract the CNIM-SIMIC consortium. The works are expected to last approximately five years and once completed, the equipment will be handed over to ITER Organization to assemble the rest of the components (the outer-vertical target, the dome and the inner-vertical target). In line with F4E's phased-production approach, the remaining 39 cassette bodies will be manufactured at later stage. Remember these pieces of equipment are not required for ITER's first plasma hence, the calendar applying to them is a bit different. The ITER Divertor, consisting of 54 cassettes, covers the lower part of the machine. It is one of components that will experience part of the high plasma temperature. It is estimated that the highest heat deposition on the surface of the cassette could be in the range of 20MW/m2. The plasma impurities will be diverted to fall on this massive "ashtray" covering an area of 142m2. Each ITER Divertor Cassette measures 0.8 x 2.3 x 3.5 m and weighs roughly 8 t with all components installed. Meticulous manufacturing and an eye for detail are necessary for the fabrication of the ITER Divertor Cassette. "Extreme precision in machining, expertise in welding and inspection are indispensable. 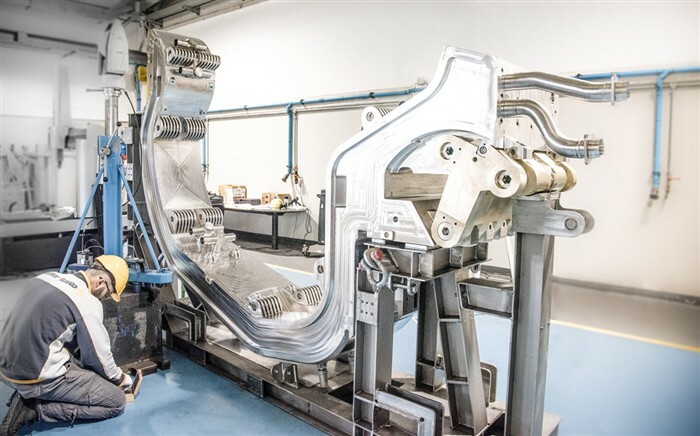 The tolerances to be achieved in some of its features are in the scale of 0.1 mm," explains Laurent Guerrini, F4E's Technical Project Officer who has been following the manufacturing of the prototypes delivered by Walter Tosto and the CNIM-SIMIC consortium. It all started in 2012 with the signature of a procurement arrangement with ITER International Organization. Then, F4E conducted a market survey, identified the technologies required for the fabrication of this component, and one year later launched a call for the production of the first real-size prototypes. The race started with three bids offering the best set skills matching value for money. Two of them carried on until the finish line: Walter Tosto, and the CNIM-SIMIC consortium. Patrick Lorenzetto, F4E's Head of In-Vessel Project Team, confirms that "this is the outcome of the very good collaboration between various teams in F4E, ITER Organization and the companies involved. The signature of the two contracts shows that Europe is now ready to proceed with the manufacturing of the first series of the ITER Divertor's Cassette body."